Since the Double Door closed, only a few old music dives survive. Smokey Joe's, near Bojangles Coliseum, is one. I'm the organist for the Charlotte Checkers," Jason Atkins says. "They call me Greazy Keyz." Atkins is onstage at Smokey Joe's Café, making final adjustments on his keyboard as patrons filter into the beloved dive bar on Briar Creek Road. 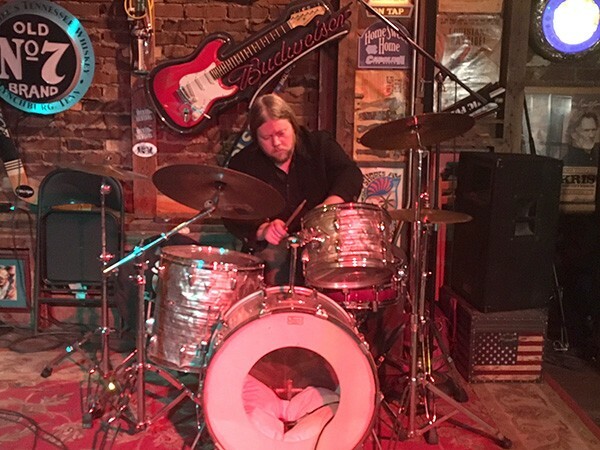 "As soon as the games finish up [at nearby Bojangles' Coliseum] on Tuesday nights, I run right over here to set up for the show," Atkins continues. Along with singer K. Omari Wilkerson, guitarist Chase Killough, bassist Paul Agee and drummer James Brock, Atkins is a member of the venue's house band, The Smokin' Js, who are ready to launch into their first set of the night. The band's performance kicks off Smokey Joe's Open Jam. 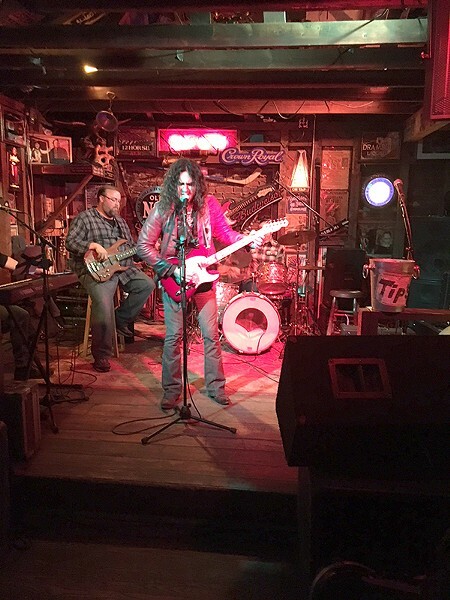 Held every Tuesday night at 9 p.m., the weekly jam is also an open-mic night, in which professional, amateur and fledgling musicians can strut their stuff with members of the Smokin' Js as their backing band. "The open mic at Smokey Joe's will be 20 years old next year," says Hooter Hough, who's seated behind the soundboard watching the band members set up. Near the front entrance, on a counter beside the soundboard, bar patron Peter Gray sets down his guitar and writes his name on a sign-up sheet for the Open Jam. The sheet is half-filled already. Hough, a friendly 64-year-old drummer, has been running sound for the Open Jam since 2002, and he's since taken over soundboard duties on Friday and Saturday nights, when the bar features music from local bands and the occasional national touring act. 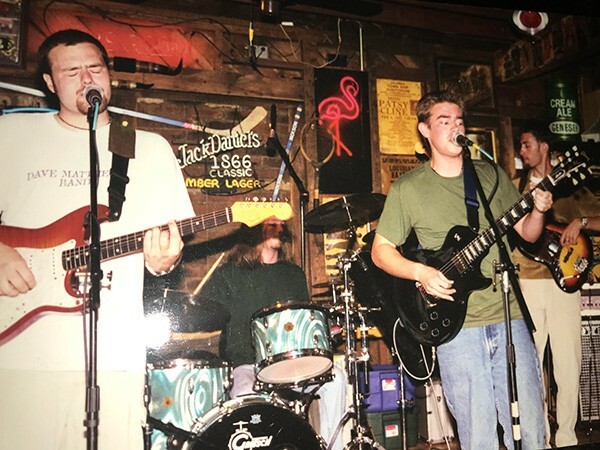 Before the Open Jam started up in 1998, Smokey Joe's didn't do much in the way of music, Hough adds. The building wasn't even intended as a bar, Sean Knight says. 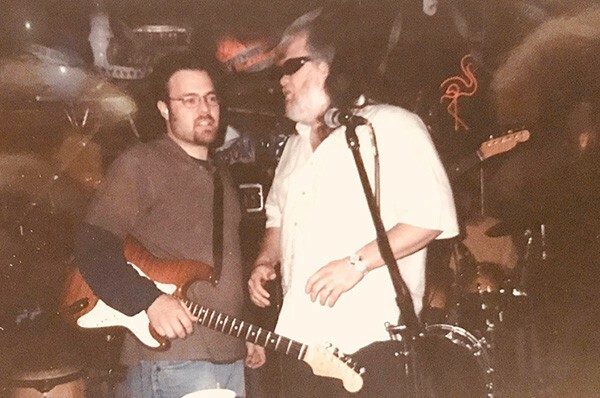 Knight, who books the bands on weekends and runs the venue's website, began working at Smokey Joe's in 1986, two years after the establishment opened under current owners Bob Whitman and his son Scott. "When the place opened in 1984, I was a patron," Knight says by phone a few days before the open mic. "I used to visit the bar and drink there," she continues. "When I started working, I was cleaning the bar. I graduated to working the door, and then I tended bar. But now I do the band-booking and website thing." 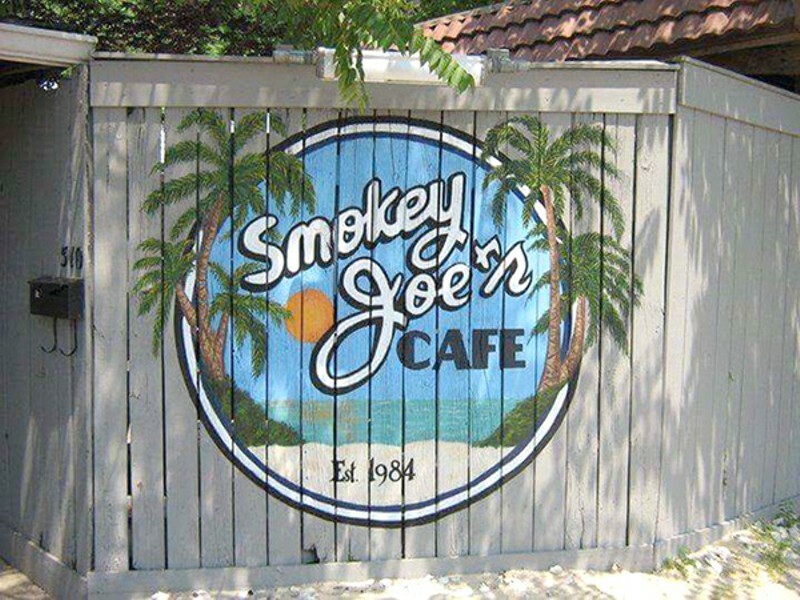 The place began its life as Smokey Joe's when the Whitmans bought it 33 years ago. "Before that I think the building was a home — a duplex maybe," Knight says. "Then it became a store and a couple of biker bars, The Iron Horse and Lady Marlena's." Despite a few surreal touches, like a stone waterfall built into the ceiling above the bar, it's easy to picture the building as the house it once was. The vibe on Tuesday night is warm, woody and homey — that is, if your home happened to be a shrine to classic rock. 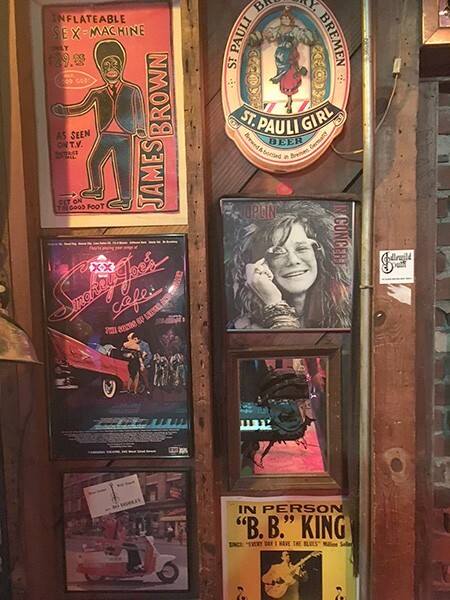 The walls are lined with rock 'n' roll memorabilia, posters, flyers and pictures that Bob Whitman acquired over the years from estate sales and other bars, according to Knight. In a corner of the stage, bass player Agee starts to set up. Hough takes him some cables. When he returns to the sound console, Hough tells me that he's indirectly responsible for getting the Open Jam started back in '98. "I was doing sound for an open mic at a place called Misty Mountain Café just down Monroe Road," Hough remembers. "A guy named Gavin Capousis came in and said he wanted to learn how to do sound, so I showed him a few things. "The next thing I know, he's gone out and bought a P.A. 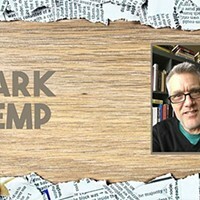 system, and he started doing an open mic at Smokey Joe's," Hough says, laughing. "He just about ran me out of business!" Both Hough and Knight agree that Smokey Joe's Open Jam really took off when local musician Josh Daniel got involved, although it was Charlotte musician Chuck Brown who actually started it, Daniel says. "At first it was an acoustic singer-songwriter thing, but it started to get bigger," Daniel remembers. "Chuck reached out to me because I has a rock band called Static. With our band, it became less like a traditional open mic and more like everyone jamming together." Brown bowed out and Daniel took over the Open Jam at the tender age of 19. "I wasn't even supposed to be in the bar at that age," says Daniel, who is now 38. "Static would open with a set, and then we would be fill-in players for whoever signed up for the open mic. Sometimes people would bring full bands and just play sets. We were open to whatever." Daniel and his band mates wound up playing a lot and they got a plenty of practice honing their chops. "I wound up doing it for eight years," Daniel, who now fronts the New Familiars, remembers. "When I look back on it — I play about 150 gigs a year now, but I still think I've played more at Smokey Joe's than anywhere else." The Open Jam attracted some illustrious drop-ins, Daniel says. One night the backing band for John Scofield, Miles Davis' guitarist, stopped by to play — minus their leader, Scofield. One-time Allman Brothers Band member Johnny Neil also came by after finishing a set at the Neighborhood Theatre. "He ended up playing with us," Daniel says. "We took the party back to my place after Smokey's closed. We jammed all night long until the sun came up." Daniel and one-time Allman Brothers Band member Johnny Neel. Hough remembers another famous musical guest. "One night a few years ago, the singer from Blues Traveler, John Popper, was in town for a friend's wedding," Hough says. "He just happened to be at the bar, when the band onstage started playing 'Run-Around,' by Blues Traveler. So Popper got up and started singing and playing the harmonica with them." There are no famous faces in the crowd on this particular Tuesday night, but plenty of people are eager to sing and play onstage. Hough figures the open jam will run until about 1 a.m.
"What I like best about doing the open mic is seeing younger and less experienced musicians grow," says Smokin' Js singer Wilkerson. "They want to play music. It's in their souls, but they just don't have an outlet. We give them the platform to do that. "Every week is always different," Atkins adds. "We'll have some regulars come in, but every week there's somebody new who brings their own style and flair to the show." Moments later, the Smokin' Js open the show with a soulful, swinging version of Prince's "Raspberry Beret." After four numbers in, the first sign-up for the open mic comes onstage. It's Peter Gray, who I spotted signing the sheet earlier in the evening. Killough unplugs and steps off the stage as Grey plugs his guitar into the amp. As the band lays down a funky, elastic groove, Gray fills the spaces with exploratory guitar figures ranging from sharp and choppy to soaring and lyrical. After Gray steps off the stage, I learn that he's no novice. Gray tells me he did a stint as the Smokin' Js guitarist three years ago. He looks up to the stage as another guitarist, Arda Bagcioglu, plugs in. "Watch this guy," Gray says. "He can play." With his long, curly dark hair and leather jacket, the Turkish-born Bagcioglu looks the part of a typical rock 'n' roll dude. He also sounds like one. There's a hint of Stevie Ray Vaughn's Hendrix-inspired blues-rock as Bagcioglu rips into a searing and gritty version of the latter's "Foxy Lady." Throughout the night, the Smokin' Js play a supple and swinging groove, imperceptibly shifting rhythms and tone to lock in with whomever steps up to play with them. During a break in the action I find Smokin' Js drummer James Brock and tell him that the band seems to be the perfect combination of tight and flexible. "That's what we do for the people who come out to play the open mic," Brock says smiling. "We support them and lift them up."